John (Jack) W. Graham was born in Lousana, Alberta, on 15 November 1922. In 1943 Graham graduated from the University of Manitoba with a degree in Architecture and Design. Subsequently Graham was employed in the Engineering Department of Canada Car in Fort William, Ontario. In the mid-1940s Graham returned to Winnipeg to assume a role teaching at the University of Manitoba's department of architecture. This was a period of rapid growth and change in the department, with its director John A. Russell having hired a number of new local and international faculty. 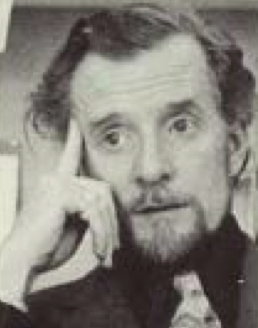 Among Graham's early duties at the school was transformation of the course Beaux-Arts rooted course “Orders of Design” into the Modern oriented “Fundamentals of Design.” Over his many years at the University of Manitoba, Graham would serve as Acting Dean, Associate Dean and Professor Emeritus. He would also, during this time, design St. Paul's Anglican Church in Fort Garry, as well as the modernist Tyndall limestone gates that mark the Pembina Highway entrance to the University of Manitoba; he also designed two houses in participation with Roy Sellors. Graham would also be responsible for conceiving and producing a massive and colourful relief mural on the north wall of the 1964 Winnipeg International Airport, comprised of metal, plexiglass and mosaic tiled segments. Beyond Graham's academic work, he was the head of Stagecraft Department at the Banff School of Fine Arts for many summers and he designed sets and costumes for the University of Manitoba Glee Club, the Royal Winnipeg Ballet, Rainbow Stage and the Playhouse Theatre. Graham would also serve as the President of the Royal Winnipeg Ballet and was a board member on the Manitoba Centennial Concert Hall Building Committee and the University of Manitoba Planning Committee. Graham was, furthermore, a writer, assembling the 1960 book A Guide to the Architecture of Greater Winnipeg and writing art criticism for the Winnipeg Free Press for many years. Graham retired from the teaching at the University of Manitoba in 1980.